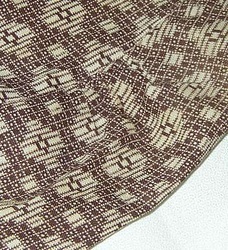 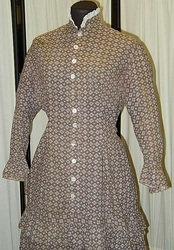 This is a gown in my collection that I have chosen to create a pattern from. 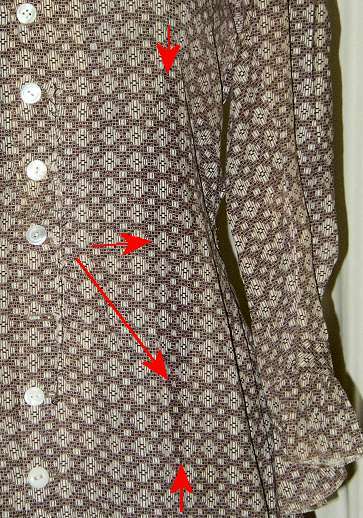 these images are copyrighted- please ask before using. 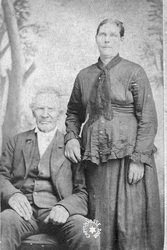 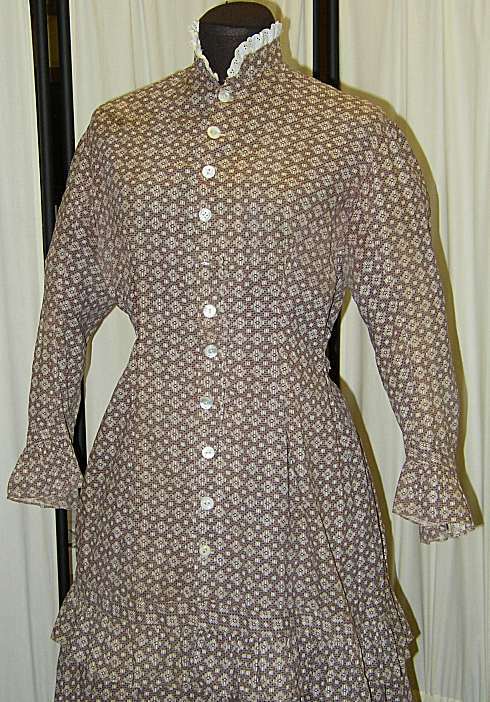 It was meant as a summer or work gown with its ¾ length sleeves, and unlined bodice. 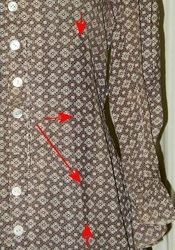 It would have been easily washed, and the slight flounces and self bias trim would hold up well when laundered. 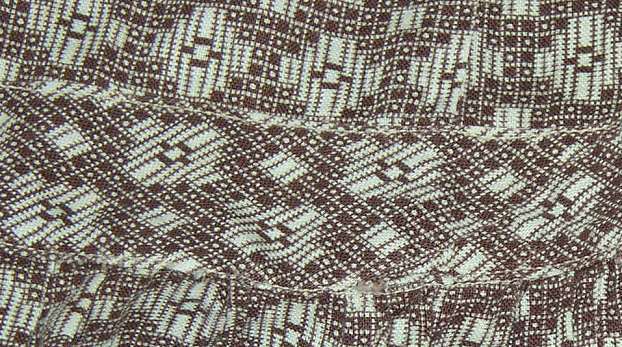 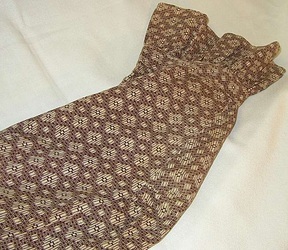 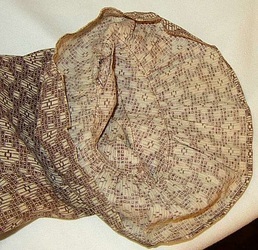 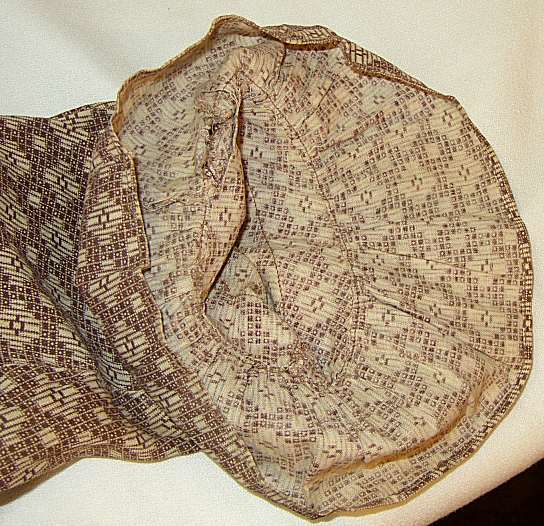 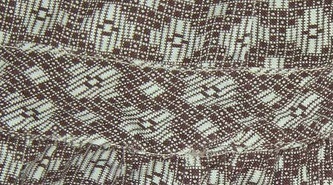 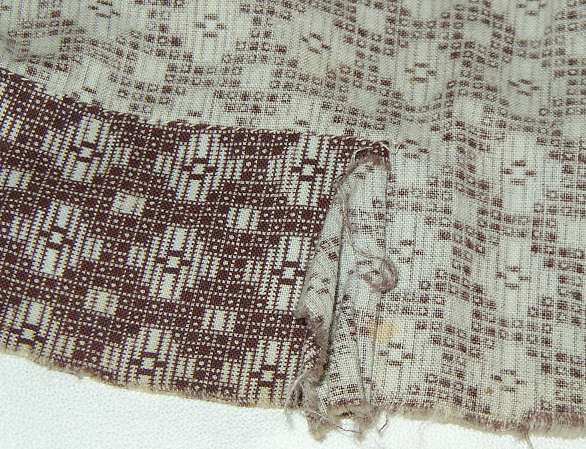 It was what would be known during the natural form period as an easy fitting basque,or simply by leaving the dart out- a "half fitting sacque"
and the waistband having been cut off and replaced with a drawstring casing (the drawstring casing is a definate later modification by the thread type used- it burns poly) This gown is stitched nearly completely by machine, using period "speed sewing techniques"